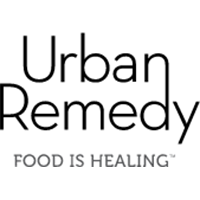 Urban Remedy offers a wide variety of products for people from all walks of life. You can use this website to purchase juice cleansing items, a variety of juices, a variety of healthy meals and snacks, a wide range of healthy meal plans, and more. You can also find out more about the Urban Remedy book that is currently available, as well as the Urban Remedy Retreat. Healthy Meal Kits available at this site include the Beauty Kit, the Immunity Kit, the Metabolism Kit, and the Bridal Kit. You can also find a range of meals for both lunch and dinner, in addition to a variety of healthy snack options. For most up to date offers check out Urban Remedy on Facebook and Twitter or contact Urban Remedy Support for any questions.